Our clubhouse is a resort-style location beautifully decorated which will create a lasting impression for all of your guests but yet still fit within your budget. Your wedding and reception will be hosted in Country Club style with pristine views of the surrounding valley and golf course. 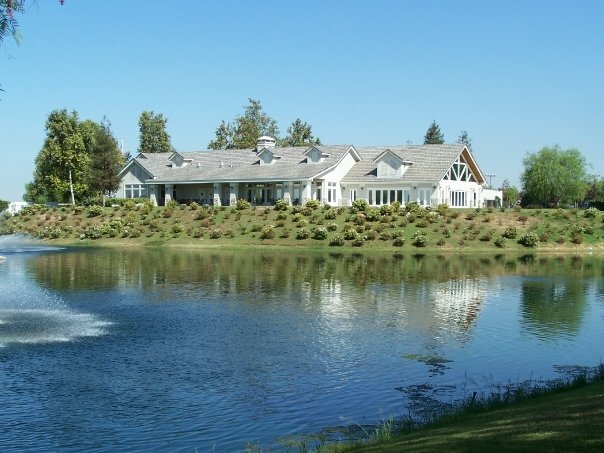 Views of the surrounding lakes, valley, and golf course can be seen from the ballroom and wedding garden and used as a back drop for your pictures. Our settings will provide you with lasting memories…and endless photo opportunities! Our banquet room features spectacular views of the surrounding valley, golf course, and lakes with fountains that are lit up in the evening. Our chefs are among the finest in Southern California and Executive Chef Ruben will ensure your guest will rave about their dining experience during your special day. Get married in our lovely wedding garden surrounded by picturesque views of the golf course and valley; then you and your guests will stroll into our ballrooms just a few steps away.